When you learn how to use a sewing machine, it is a skill that will always come in handy. The sewing machine, invented in 1846, broadened horizons for women everywhere. Sewing machine technology has advanced since the first treadle-operated behemoth. 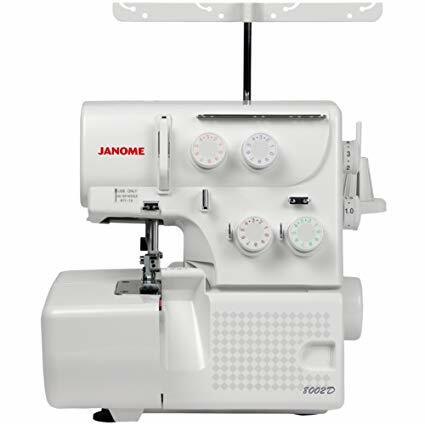 There are pocket sewing machines for a quick hem repair, and sophisticated computerized embroidery machines capable of laying out intricate multi-colored designs in minutes. Here we will start with the basics. Covering everything is near impossible, but the basics will get you on your way to enjoying the art of sewing. We will include only the basics of what you need to know about the machines, fabrics, stitches, and guide you through a first project. An electric sewing machine is one of the most common household appliances in our time, and a great one to use when you learn how to use a sewing machine. 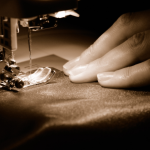 There are approximately 35 million homes that have a sewing machine. Many of them are probably hidden away in a closet behind 18 pairs of winter snow boots and Grandpa Norm's fishing gear. People spend about $8 billion a year on sewing machines, accessories, and notions. Sewing remains vastly popular. When buying a new sewing machine, one thing that is always a concern is the price. You won't need the top-of-the-line (all-the-bells-and-whistles) machine when you learn how to use a sewing machine. At least not immediately. The best advantage of opting for an intermediate level machine to begin on is in ease of use. Instructions came with your new sewing machine, which you should always read thoroughly, especially if you are just learning how to use a sewing machine. With so many models available, we couldn't possibly explain this in-depth process for each one. We’ll stick to the basics, but your method will vary depending on the equipment you use. If your machine requires you to deactivate the needle, refer to your owner’s guide and do that now. Start by placing your thread spool on the spindle located near the top, right rear of your machine. Place the empty bobbin in position on the smaller spindle located on the top or side of your machine. Lock the bobbin into place. Starting at the spool, wind your thread through the thread guide and tension spring (if your machine has that feature), then thread it onto the bobbin as described in your manual. Add thread to the bobbin by depressing the foot pedal. While the bobbin is loading, make sure that the thread is winding evenly to fill the entire inside width of the bobbin. With your bobbin wound and in place, you’re ready for the next step. Re-engage the needle pulley if your machine required you to disengage it to wind your bobbin. Grab the thread end and pull slowly. Follow the instructions included with your sewing machine and draw the thread through the thread guide. From there, the thread will pass through the tensioning discs, and then come back up to the top of the machine. Using the manual wheel on the side of the machine, advance the needle into the top-most position. With the internal thread guide at the top of its stroke, run the thread through it, following the instructions in your owner’s manual. 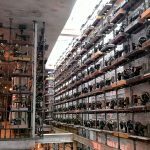 Bring the thread back down and thread your needle (front to back on most machines). You can tuck the thread into the small guide on the needle mount housing before or after threading. We recommend grabbing a scrap of fabric and practicing with your new machine a bit before beginning your first project. If your stitches are buckling, too loose, or don't look right, refer to your manual and adjust the tension to correct the problem. Doing this during practice is much better than when you are working on a project. Your choice of materials will depend on what you intend to make. When making pillowcases and children's clothing, cotton fabrics are easy to use, easy to maintain, and durable. For that unique Halloween costume for your little monster, the pattern will specify what fabrics work best. The pattern envelope usually contains a list of materials. The package also lists the yardages of each one you need to complete the pattern. Patterns, cutting and laying out your pattern is a complete lesson. Since we don't have time or space here, we found a couple of videos to help you. They can be viewed later if you are eager to get on to your pillowcase project. This video demonstrates how to lay out your pattern on your material. Patterns include layout instructions to get the most out of your material and make great looking final projects. The video explains fabric differences and why the pattern contains marks. We have selected a pillowcase as a first project for learning how to use a sewing machine for several reasons. They are easy to make and do not require a pattern. They use lightweight cotton, which is very easy to sew. The stitching is straight, with right-angle corners, and no extraordinary skills are required. We hope you enjoy this project. Main pillowcase body -- buy 24" by the width of the material (usually 40" to 45" for most cotton fabrics). End border -- buy 12" by the width of the material (usually 40" to 45" for most cotton fabrics). Accent strip -- (optional) buy a 2" strip by the width of the material (usually 40" to 45" for most cotton fabrics). You will need a flat surface to lay out your material. Cut your fabric to the dimensions listed above. Starting with your accent strip, fold the material in half lengthwise and press it flat, right side out. The accent strip is optional, so if you aren't adding it, skip this step. Lay the main body of your fabric out in front of you lengthwise, pretty side up. Put your accent strip at the top edge of your material and use one pin to anchor it into place. Next, lay your end border piece lengthwise, backside up, on top of your main body and the accent strip. Pin all three pieces together along the top border, making sure to keep the edges aligned. Flip the border piece up away from you, then grab the main body material at the bottom and roll it into a long, skinny tube (like a burrito). With your body material up near your pinned seam, bring the border piece back down over the roll of material. Pick the whole bundle up along the pinned seam and flip it toward you, then fold the seam back up away from you. Align the unpinned edge of the border piece, which is still backside out, with the pinned edge. Carefully remove the pins one at a time and re-pin the fabric with the open side of the border fabric now being fastened to the edges of the accent strip and the body material. Sew a straight seam, with a 1/4" seam allowance, all the way down the length of your roll. Remove your holding pins as you go. When you complete the entire seam, remove the material from the machine. Gently pull the body material out the end of the tube until it is pretty side out. Using your iron, press the pillowcase flat. Fold your material in half lengthwise, backside showing, so that the selvages (the unprinted ends at the sides of the fabric) are on the left and right sides of your cutting area. Carefully line up your straight edge along the edge of the selvage and cut a straight edge. This cut removes the selvage and leaves you a nice, even edge. Next, fold the pillowcase left-to-right, pretty side out. It should look like it would if it were complete and ready to put on your pillow. Line up the edges, paying particular attention to where the accent piece meets. Carefully pin the edges together, still pretty side out. Beginning with the pinned corner of the border piece, sew your material together. Remember to use reverse for the first few stitches before sewing the length of the side to lock the stitching at the end of the fabric. Sew along the side of the pillowcase. Leaving your needle in the down position, lift the foot and rotate your material 90 degrees to sew along the bottom of the pillowcase. Make sure to backstitch when you finish sewing the bottom of your pillowcase to lock the seam. When you have sewn the entire edge, lay your pillowcase out on your cutting board and carefully cut off about 1/8" on the outside of the seam along both sewn edges. Turn your pillowcase inside out and iron it again, making sure to get the seams flat. Line your pillowcase up, starting with the border edge, so that the pressure foot of your machine should align with the hidden seam. Sew, beginning with a few reverse stitches, down the entire length of the side. Rotate your material at the corner and sew along the bottom in the same manner. Backstitch at the end of your seam to lock your seam. Remove your pillowcase from the sewing machine and turn it right-side out. Congratulations! You have just made a pillowcase with French seams. Make them for the whole family now that you learned how to use a sewing machine - they make great Christmas gifts! Many of the videos used to help teach you how to learn to use a sewing machine in this article came from Howcast. The entire site is devoted to helping people learn things. They have an entire section devoted to sewing projects. We found these links to be highly informational and helpful in bringing this information to you. Professor Pincushion is another handy How-To site where we found helpful videos and blogs on learning the fantastic art of sewing and how to use a sewing machine. They have many free video offerings and a subscription section with even more videos to help you continue learning to sew like a pro! We hope that you’ve learned a lot from this article or refreshed long-ago lessons from Grandma. Please bookmark us for future reference. The information presented here will hopefully help you develop a lifetime passion. Sewing can be relaxing, frustrating, time-consuming, but also deeply satisfying. Leave your comments below if there are other articles like this you would like to see.